1-Year Limited Warranty. Call 1-800-489-1581 for complete warranty details. Protect your Apollo. 300 Smoker Series grill with this Premium Grill Cover. The durable, water-resistant fabric of this cover won't crack, and the improved UV inhibitors provide superior fade resistance. For year round, full weather protection for your grill, the Premium Grill Cover can't be beat. Adjustable straps with buckles keep the cover in place, while the vent allows for airflow preventing mildew, as well as protection on gusty days. Easily store your cover out of the way with the convenient hanging loops. Adding an extra chamber to your Apollo. 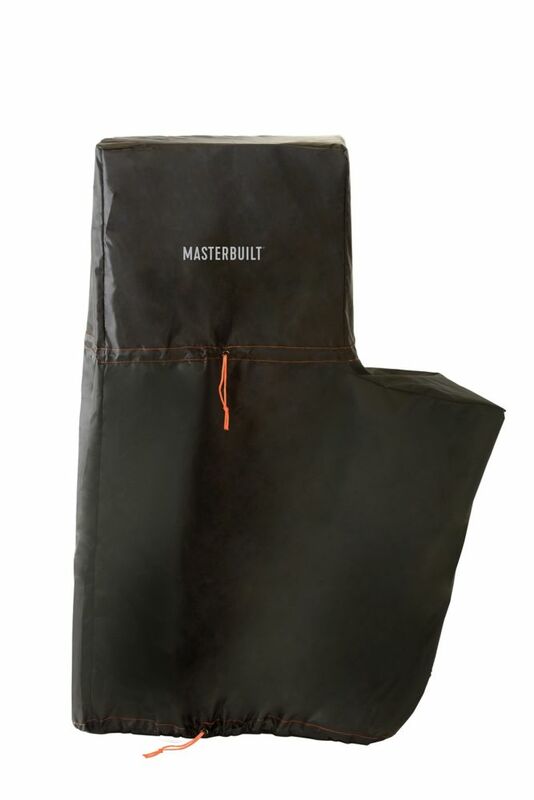 300 Smoker isn't a problem with this premium cover, the fit is extra long and features a drawstring with toggle to ensure everything is covered.